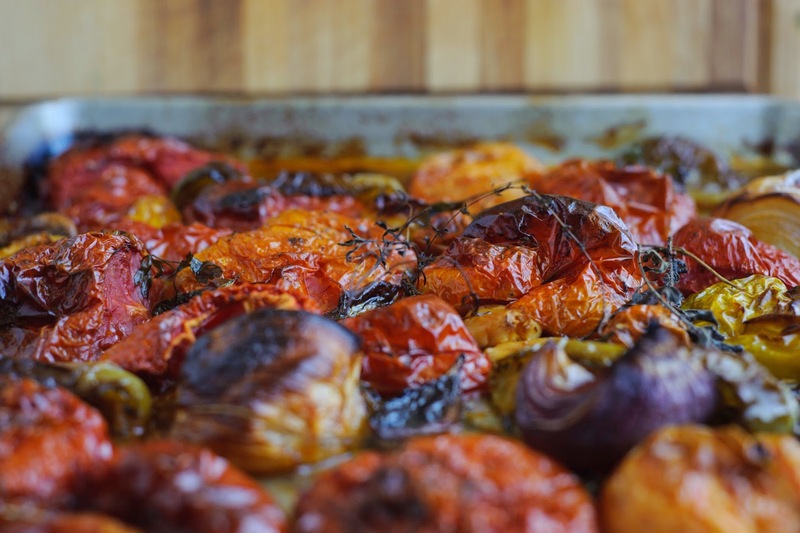 The smell of tomatoes cooking in the kitchen always stirs up a longing in me. It brings me back to the basement kitchen of my youth, the extra kitchen that my grandma Bernadine had built in her home so she could can and preserve to her heart's content without having to dirty her upstairs kitchen. My grandmother barely got to enjoy the space in her home before breast cancer claimed her life in 1985, but the kitchen has been loved and used by my own parents. My Mom spent hours canning peaches in syrup. 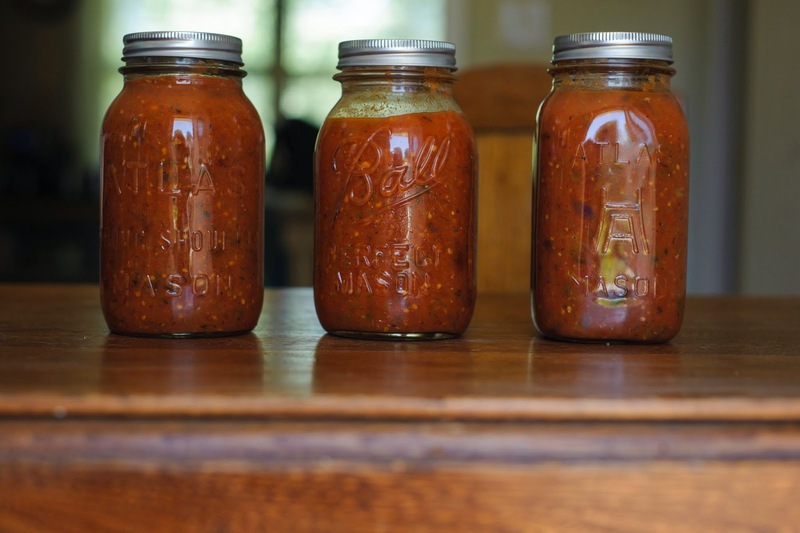 She has stewed countless tomatoes, made many batches of salsa, dried many fruits and vegetables, and frozen green beans, asparagus, and peas so we could enjoy them for the winter. She made pickles and jam. She froze strawberries and raspberries. My whole family would freeze a huge batch of sweet corn every year in July or August, which brought us all into the canning kitchen together. My brother and I would shuck and remove the silk from the corn outdoors, he would carry it downstairs in batches, and Mom would cook it, while Dad removed the corn from the ear, and eventually my brother and I stuffed it into freezer bags so we could preserve the harvest all year long. When I was in college I 'remodeled' the canning kitchen, painting the cupboards and walls white, scraping off the old linoleum, and imagining my grandmother within its walls. Despite the fact I've had the pleasure of knowing and loving my maternal grandma Pearl my whole life, there has always been a part of me that laments the fact that I never got to know my grandma Bernadine. Was she the constant flurry of activity that my parents always tell me about? Did she laugh easily and yell at the top of her lungs like the rest of the Kruses? I have little glimpses of her, snippets and relics of her life. A recipe clipped from the newspaper with her handwritten notes, pieces of notebook paper where she scrawled a cake or frosting recipe from someone at church. I'm told that my grandmother baked a cake every weekend. And now I cook with an apron made from seed sacks that she packed away for some purpose unknown. I cook with an assortment of jars, mostly my Mom's, but some grandma Bernadine's. These are ultimately just things, but there is something about these relics that makes them special to me. This is why I am preoccupied with the old so much more than the new; this is why I love objects that have stories to tell. So many people's eyebrows raise in surprise when I tell them I like to can. Some remark that it is interesting that someone so young is interested in a tradition so antiquated. Some tell me that it is too much work. I will agree that it does take time, but I submit that it is time well spent. In all of our pushing forward to accomplish our goals and create our own traditions, it is easy to look back and think that people in my grandmother's generation had more time. After all, they didn't have cell phones to distract them, social media accounts to update, computers everywhere, and countless episodes to catch up on at the DVR. My grandmother worked in her home, so some might say that she had more time to do these things. I reject that line of thinking. The list of tasks that my grandma faced daily was large, and at times I am sure it felt insurmountable. She was the caretaker of the home, the woman who got things done. She had hundreds of chickens. Eggs to wash, pack, and sell. Huge amounts of laundry to do, food to make, and gatherings to cook for, children to raise, and a husband to care for. She wasn't all that different from the busiest woman today. While it is easier and definitely less time consuming to buy a can of Prego from the grocery store, what story does that can tell? The only story that Prego tells is what the advertising and marketing firms want us to see. When I pull a jar off of the shelf that was crafted by my own hands, it tells a real story. The story begins with me putting the tomato seed in the soil to nurturing the plant, to gifting some of these plants to my parents, and then I inevitably end up with more fresh tomatoes than I can eat from my parents' and my own garden. So I take the few hours to make those tomatoes into something that tastes wonderful and I spoon them into jars and preserve them for all of the months were I don't have access to tomatoes like that. Through this ritual, the act of fellowship and thanksgiving that happens around my table transforms. My act of thankfulness in consuming the food is transformed. It isn't just the freshness, the satisfaction of the work that went into the fruit, or even the knowledge that everything in that jar is whole and fresh. It is the passing down of a tradition--a turning over of ourselves and our trust to the earth, seeing the provision, picking the fruit, and making something beautiful and nourishing from it. And the ability to put this on the table and fellowship over a meal is filled with layers of meaning. To some, it's just dinner. But our food tells layers of stories about us and where we come from. Because my mother took the time to pass on this tradition of canning to me, I have the ability to partake in this act of Thanksgiving for what has been provided by God for myself and my own family. I have the privilege of participating in a moment that draws me inward toward this human experience of grateful storytelling. 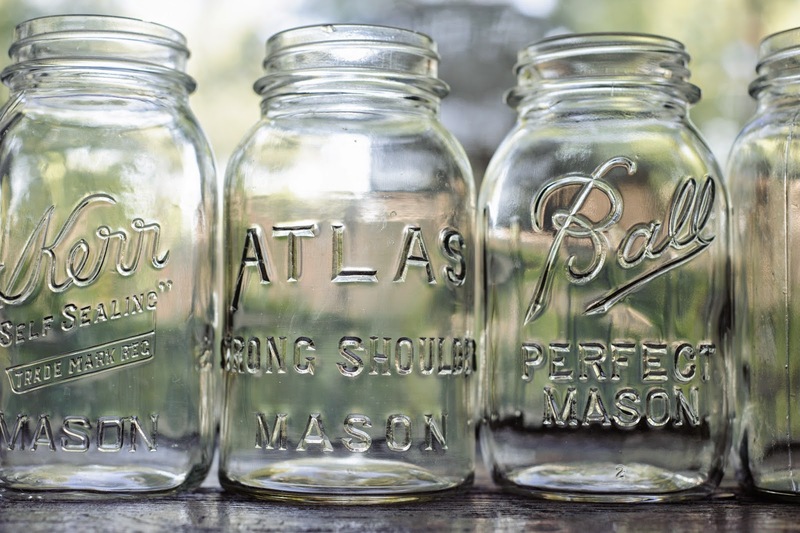 And when I'm handling the old mason jars, wearing my seed-sack apron, and putting the summer's gifts on the shelf for those cold winter nights, I am able to know a small part of the grandmother that I never got to know, and that is beautiful. 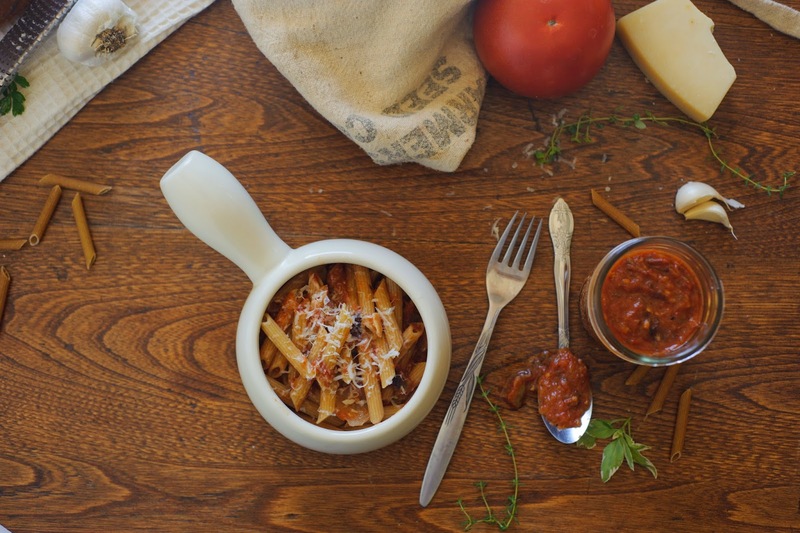 This recipe was adapted from various sources by my Mother, and passed on to me. Coat baking sheets with olive oil. It may be necessary for you to do the roasting in two batches, depending upon the size of your oven. Wash and halve the tomatoes, coring them. Put them cut side down on baking sheets. If using cherry tomatoes, put them on the sheet whole. Quarter onions, cut the green peppers into eighths, and remove skins from whole garlic cloves. 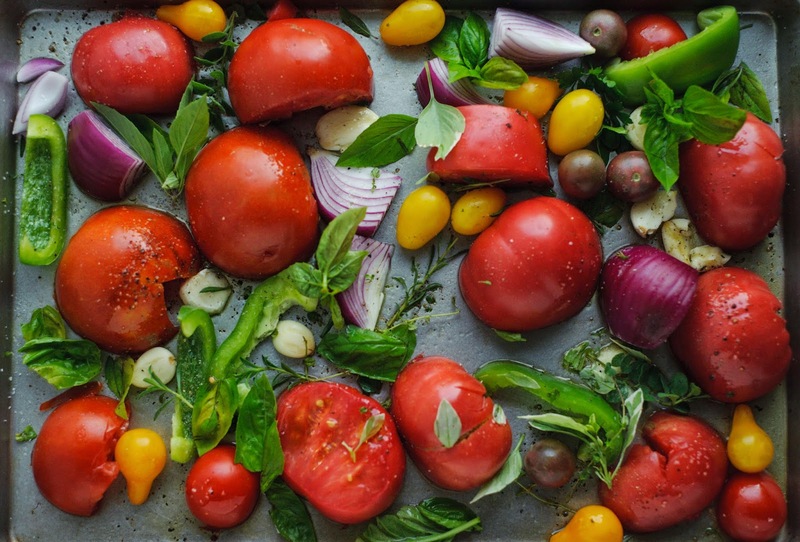 Place on cookie sheets with tomatoes. Coat everything with a healthy drizzle of extra virgin olive oil. Sprinkle with salt (I used coarse kosher) and freshly ground black pepper. Add herbs. Toss to coat. Roast in a 350 degree pan for one hour. Return to the oven and rotate. Roast for another hour, or until juices that have run out of the tomatoes are beginning to caramelize and tomatoes are beginning to look charred and wrinkled. Allow tomato mixture to cool, and then scoop into the bowl of a food processor or blender, skins and all! Pulse until desired consistency is reached. Pack into sterilized jars, leaving at least 1/4 headspace. Process in a boiling water bath for 35 to 40 minutes, or can in the oven as described below. Remove jars and cool. Check for seal after 24 hours. Lids should not flex up and down when center is pressed. This is a very flexible recipe. 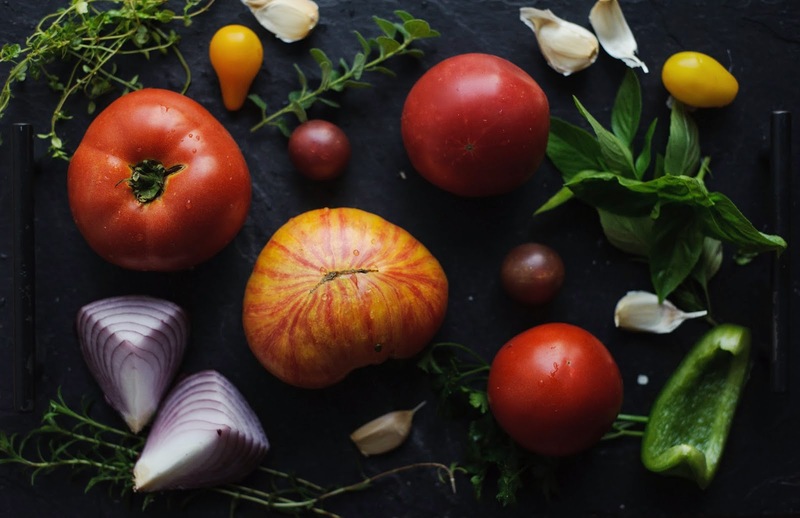 Switch up the amount of tomatoes vs. peppers and onions, use other varieties of peppers and onions or other herbs and seasonings if you want to. Some flavor ideas: replace the salt with hickory smoked salt, or toss in a couple of teaspoons of crushed red pepper. Add zucchini or other vegetables to give the sauce extra flavor. This is how I can all of my salsa and stewed tomatoes. This is a recipe from an old church cookbook, and I want to clearly disclaim that oven canning is actually a rather controversial way of canning. There is a lot of debate about whether this really kills all of the bacteria, and there is some danger of breaking jars due to the dry heat of an oven. HOWEVER, I have canned this way and never had trouble and never have I broken a jar, while I've boiling water canned and broken several jars. I've done a lot of reading, and due to the temperature I use and the manner in which I pack the jars, I feel that it is safe for me. Place jars on a cookie sheet in COLD oven. Set oven temperature to 275 degrees, and leave the oven on for one hour. Turn oven off and leave jars in oven until COMPLETELY COOL without opening the door. It is ideal to do this and leave the jars in the oven overnight. Check for seals when removed from the oven. Lids should not flex up and down when center is pressed. 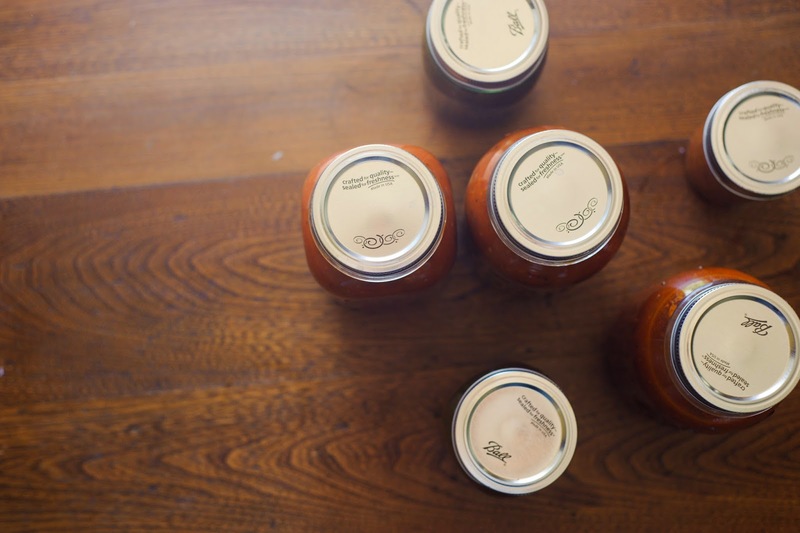 If you have any jars that did not seal, place sauce in the fridge and use immediately, or freeze.